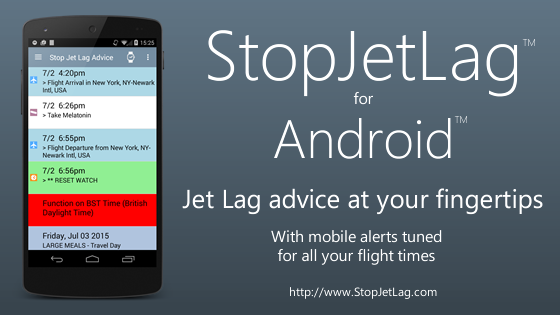 The StopJetLag™ 2019 Mobile App makes using your Stop Jet Lag Plan jet lag advice even more convenient. 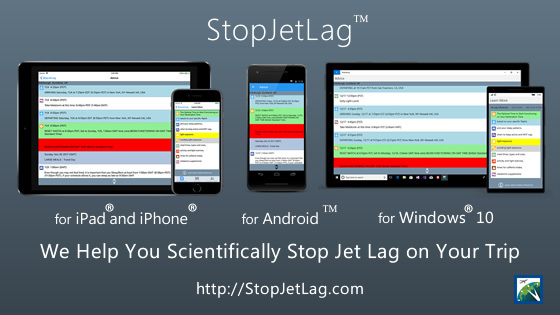 The StopJetLag App is available for iPhone®, iPad®, Android™, and Windows® 10. 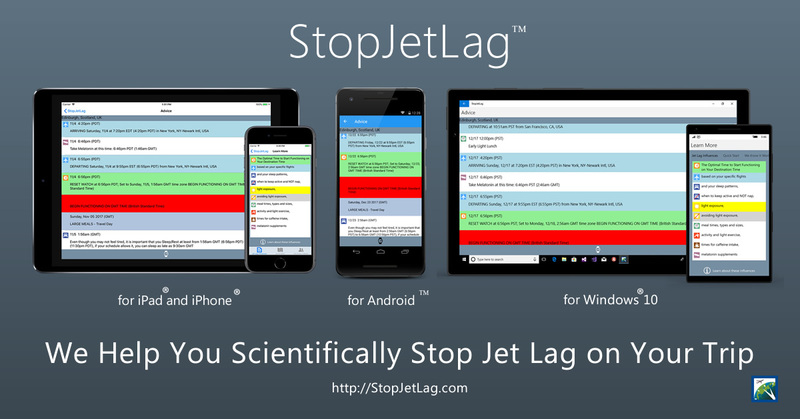 The StopJetLag™ 2018 Mobile App makes using your Stop Jet Lag Plan jet lag advice even more convenient. 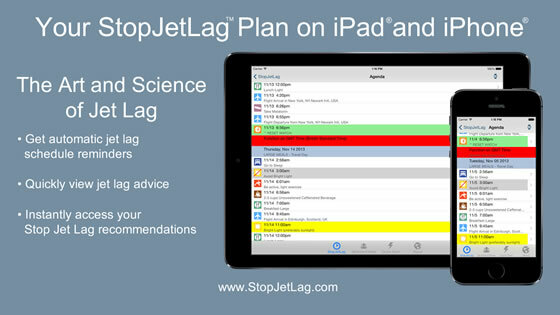 The StopJetLag App is available for iPhone®, iPad®, Android™, and Windows® 10. 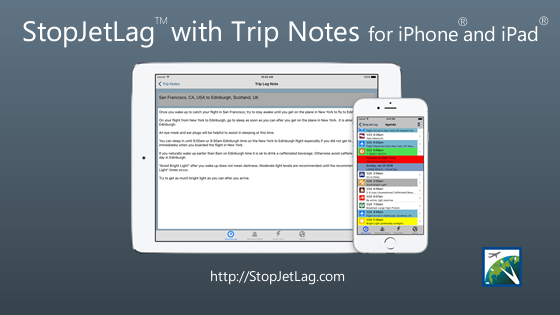 With the StopJetLag with Trip Notes release you now have your StopJetLag trip notes at your fingertips when you travel. 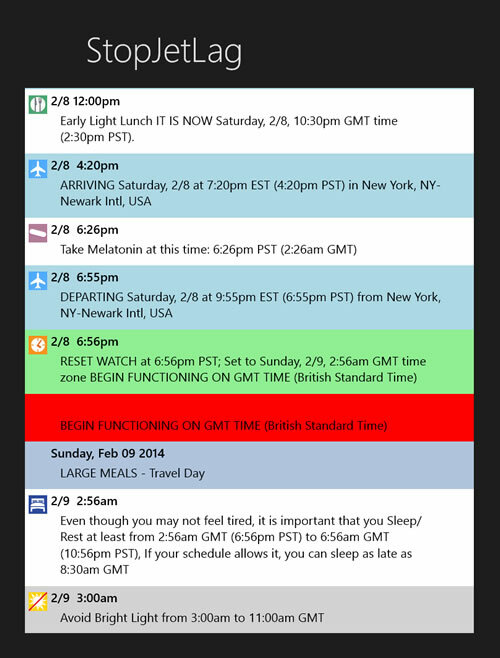 Read about helpful nuances for addressing the specific flights on your trip as written for you by a StopJetLag team member. 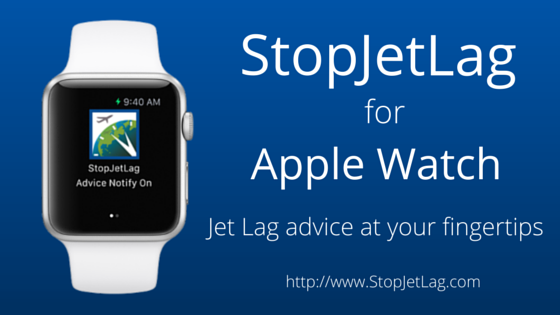 Apple Watch extension for StopJetLag is available on the App Store, Even with your iPhone® put away while you are on your flight or in a meeting, you can still receive timely jet lag advice notifications with your StopJetLag for Apple Watch extension. 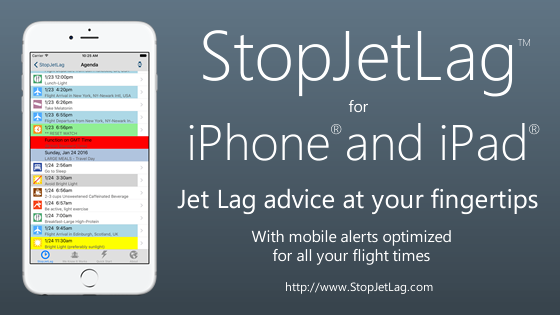 Stop Jet Lag Rev 3.5 update for iOS 8 on iPhone® and iPad® now available in the Apple App Store. You can now conveniently and consistently beat jet lag with art and science.